Mark Shaw and Tuesday Reitano are with the Global Initiative against Transnational Organized Crime. Mark is the Director of the Global Initiative Against Transnational Organized Crime. He is also a Senior Associate of the LSE International Drug Policy Unit, (LSE US Centre), and an Adjunct Professor at the University of Cape Town, Department of Criminology, where he previously held the National Research Foundation Professor of Justice and Security. Mark worked for ten years at the United Nations Office on Drugs and Crime (UNODC), including as Inter-regional Advisor, Chief of the Criminal Justice Reform Unit and with the Global Programme against Transnational Organised Crime, where he lead projects and provided technical assistance to national governments, bilateral donors and international organisations in Libya, Afghanistan, Pakistan, Somalia, West Africa, the Sahel and Southern Africa, on security sector and criminal justice reform, and countering transnational threats. 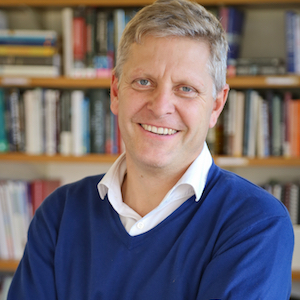 A South African national, before joining the UN, Mark held a number of positions in government and civil society where he worked on issues of public safety and urban violence in the post-apartheid transition. He holds a PhD from the University of the Witwatersrand, Johannesburg and has published widely on organised crime, security and justice reform issues.